My OS is Elementary OS, Node v6.11.2, react-native-cli v2.0.1. I would be glad if you guide me to find out what is going wrong with my build. And restart whichever android or ios. Delete node_modules folder,then run command. Not the answer you're looking for? Browse other questions tagged reactjs react-native native babel or ask your own question. 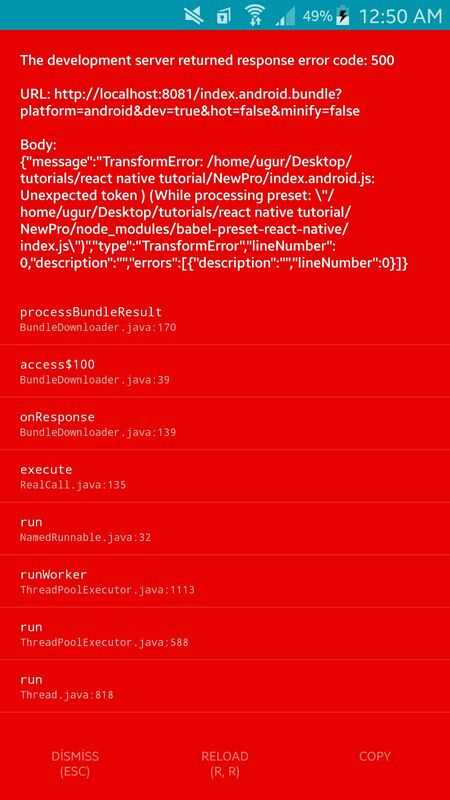 How to build react native android app for production?